HR1772- House for rent in Chiangmai Thailand. House for rent near by Promanada Resort mall only 5 minute location in Sankampang-Mae on Road. HR1815- House for rent in Chiangmai Thailand. House for rent near by The Promenada Resort Mall Chiangmai oily 1.2 km and 5-10 minutes from Chiangmai Airport International. 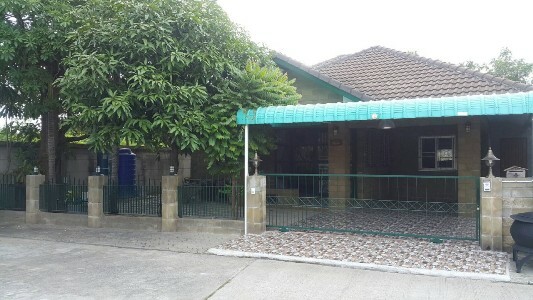 HR1827- House for rent in Chiangmai Thailand. Nice new house for rent with 2 bedroom , 3 bath room brand new (20,000 without furniture and 25,000 with) 1 year lease. 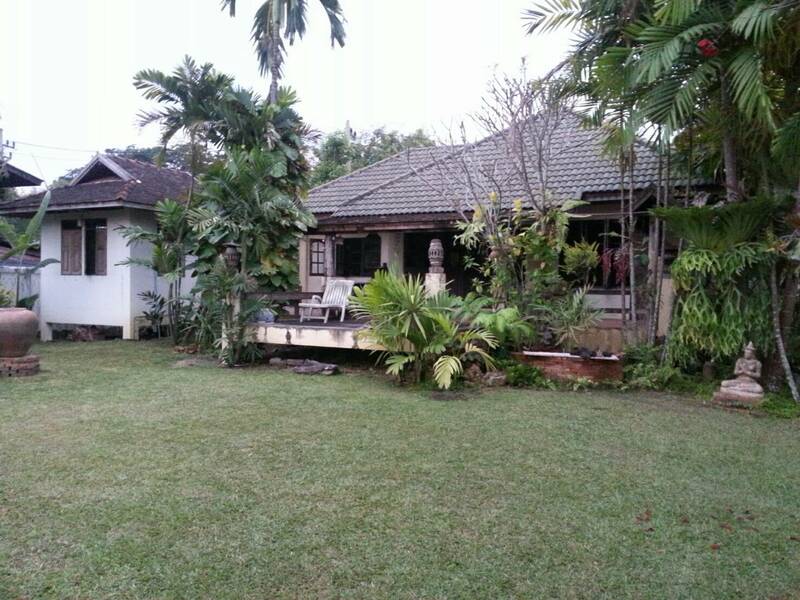 HR1833- House for rent in Chiangmai Thailand. 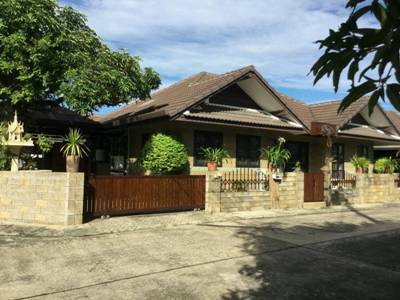 House for rent On Chiangmai - Sankamphaeng road, Tonpao Sub-district, Sankampheang district, Chiangmai. Lot size 120 Sq.wa, using area 300 Sq.m. 3 bedroom , 3 bahtroom , 1 living room , 1 kitchen and 1 maid room with fully furnished. Air condition, Hot-Water TV, Refrigerator or fridge freezer, 1 Secure Parking Solar-hart system Hot water Furnishing, Fully furnished Kitchen equipment. HR1856- House for rent in Chiangmai Thailand. with 3 bedroom, 4 bathroom, air,1 living room,1 maid,1 western kitchen, fully furnished. near by shopping mall (Promenada Resort Mall Chiangmai ). 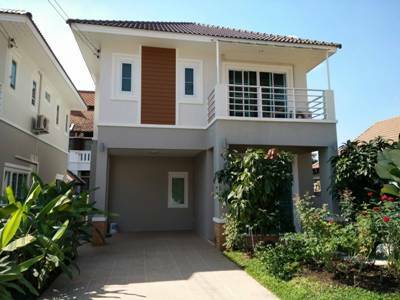 HR1869- House for rent in Chiangmai Thailand. 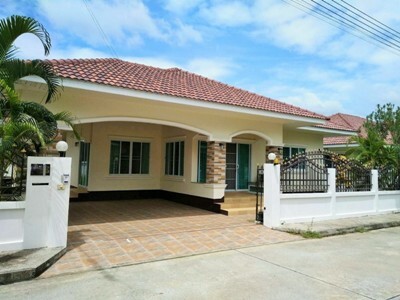 HR1880- House for rent in Chiangmai Thailand. 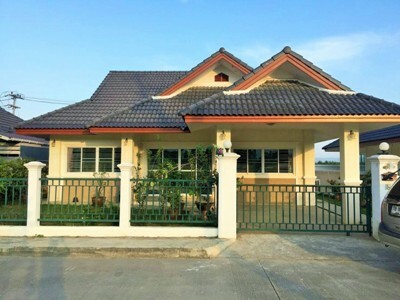 is a quality House project located at Ton Pao, San Kamphaeng, Chiangmai. The Ideal Completeness of Modern Living. 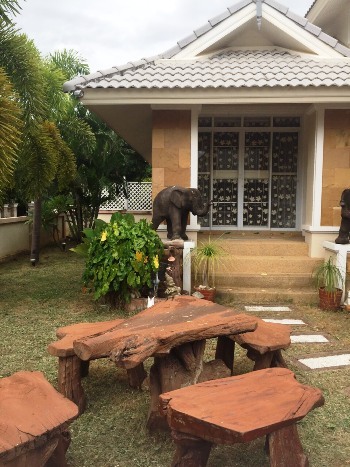 Fully furnished 4 bathrooms 3 bathrooms, small guest house with bathroom and 1 maid room with bathroom inside. Facilities: Swimming Pool, Club House, Gym, Sauna, Security, Children s Play ground Accessible to public transportation and amenities. 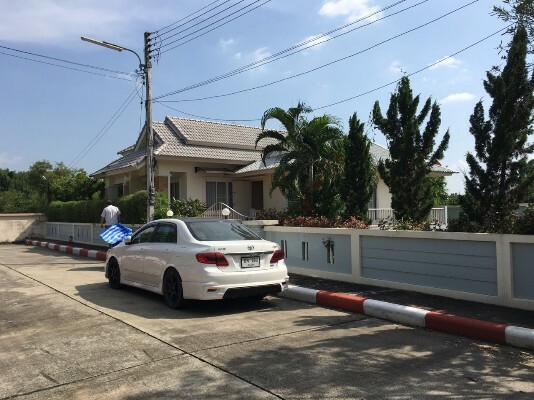 HR2015- House for rent in Chiangmai Thailand. 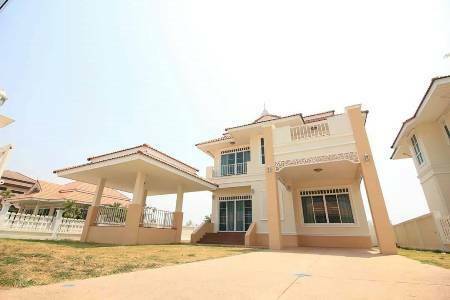 House for rent with in nice village located in Ton Pao, San Kamphaeng, Chiangmai. Quality Project on the main road, the concept of living near the nature of luxury homes. Outstanding environment. General Features Lot Size: 65 Sq.wa. Using area: 130 Sq.m. 3 Beds, 2 Baths, 1 Living rooms, 1 Kitchen, 4 Air- condition, Hot-Water, TV ,Refrigerator or fridge freezer. Secure Parking , Fully furnished Kitchen equipment,Entertaining ,Safe. Facilities: Club House, , Security 24 hours, Children s Play ground. 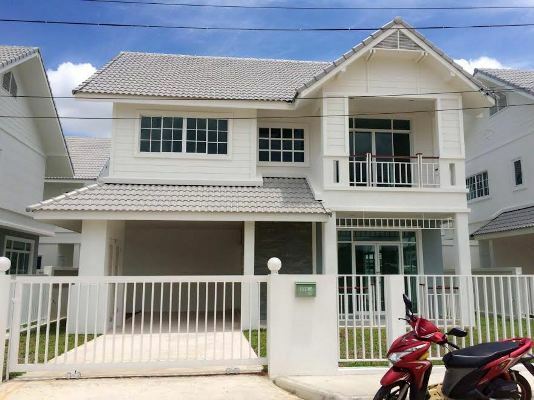 HR2017- House for rent in Chiangmai Thailand. 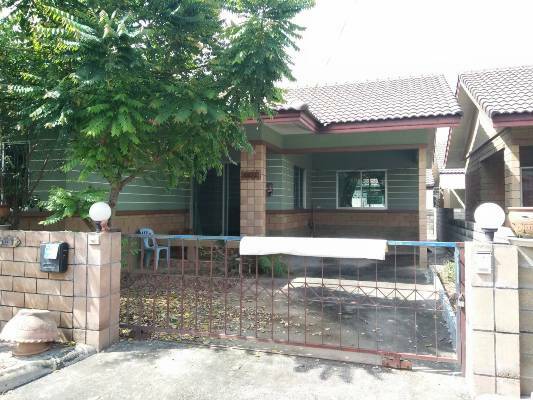 House for rent in San Kamphaeng, Chiangmai. General Features Lot Size : 55 Sq.wa. 3 Beds, 2 Baths ,1 Living rooms ,1 Kitchen, Air- condition, Hot-Water, TV Refrigerator or fridge freezer. Secure Parking , Fully furnished Kitchen . Near Promenada Resort Mall about 3 km. less than 5 minutes. 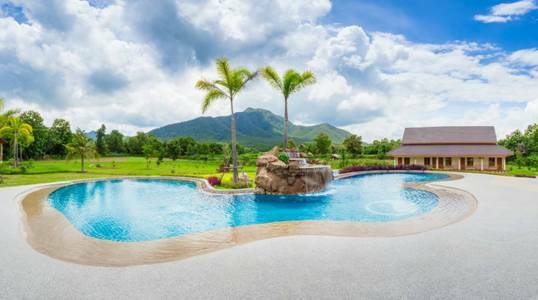 Take advantage of the great weather in Chaingmai and relax by the pool. Resort is 20 Rai with mountain view situated in the majestic mountains of Mae On about 30 minutes drive from Chiangmai airport and Chaingmai city. Featuring a beautiful pool waterfall, 600 Sq.m. wooden floor gym with male/female change rooms and bathrooms, coffee shop, games room, ping pong, 170 m. pump track, 145 m. Par 3 golf hole, 6 rai orgnic farm with 1 rai pond with 1000 fish, Balance Bike Center, high speed Wifi and onsite parking. Most of our restaurant cuisine is sourced from our on-site organic farm. We are the perfect resort for families with children or adventures seeking big thrills. Relax with the family with none stop activities, get the adrenaline pumping or Sabai next to the pool with our onsite massage. Rental and safety equipment available. - Skateboard / Scooter . Bike Park Chiangamai is one of the only jump parks in Asia with a training, Cross Country track and Jump Park. This Park is for all ages. 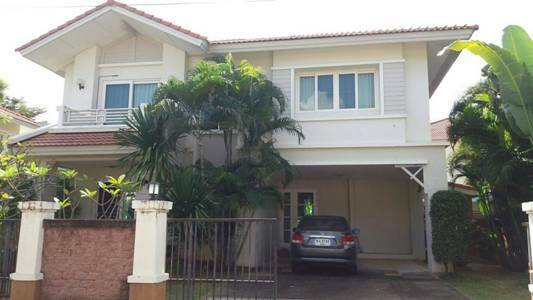 HR3033- House for rent in Chiangmai Thailand. 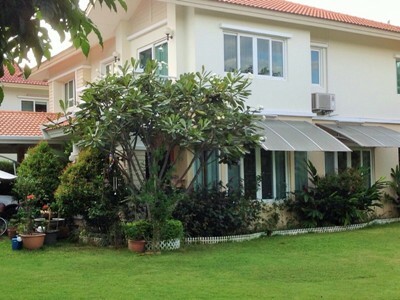 House for rent near Promenada Resort Mall Chiangmai, Thailand. Good sized comfortable 3 bedroom house to rent near Promenada Resort Mall Chiangmai, Features include a spacious living area, dining area and kitchen. 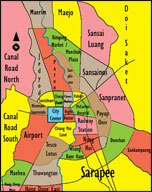 Only 5 minutes drive, 15 minutes to Chiang Mai City and 17 minutes to Chiang Mai Airport. 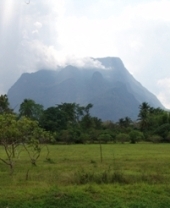 General Features Lot Size: 60 Sq.wa. Using Area: 140 Sq.m. Price for Rent: 15,000 Bath/Month, 3 Beds, 3 Baths, 1 Living room, 1 Kitchen, Air- condition, Hot-Water, TV, Refrigerator or fridge freezer. Secure Parking,Fully furnished.